Leonurus sibiricus is a herbaceous plant native to China, Mongolia and Siberia, though today it can be found throughout America as well. The plant goes by many names, including siberian motherwort and marihuanilla, “little marijuana”. Marihuanilla can grow to be about 80 centimetres tall. The plant has long, toothed leaves and its flowers have a white to purplish hue. It generally blooms in the summer, though it may last longer if the climate permits. After the flowering, small nuts are produced. In traditional medicine, practically all parts of the Leonurus sibiricus – roots, seeds, fruit and leaves – are used for various purposes. The flowers have also been used in rituals in Mexico. It is the leaves of marihuanilla that are used for entheogenic purposes. The leaves are smoked either rolled into a cigarette or in a pipe, often mixed with other herbs. Another way to consume marihuanilla is in the form of a tea. Consumption of marihuanilla smoked or in the form of a tea has relaxing effects. 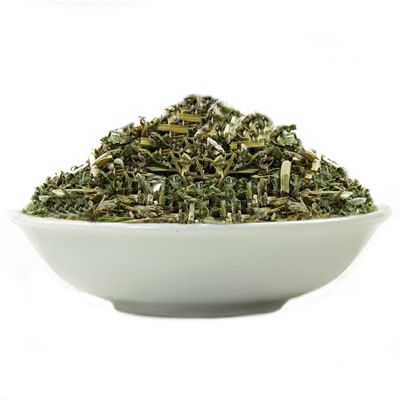 Unlike brews made from most other herbs causing some sort of high, marihuanilla tea is said to taste pleasant. Leonurus sibiricus has intoxicating effects as well, though the exact reason for this is not known. The plant contains several alkaloids, but exactly which of these accounts for the slight narcotic effects and how is yet unclear. Marihuanilla is often consumed with other herbs of various effects. Wild dagga and Banisteriopsis caapi are popular choices, and marihuanilla is also said to mix well with its “big brother”, cannabis. Marihuanilla is not a controlled plant, and is legal in practically all countries. The only known exception to this is the prohibition of Islam. The Quran states that all intoxicants are abominations, and should be avoided. Marihuanilla is not specifically regulated in Islamic countries either. However, those countries where sharia law forms part of the legal system, consumption of marihuanilla would be illegal. To summarise, Leonurus sibiricus is legal pretty much all over the world, but consult the related laws of your country before making the decision to buy or try marihuanilla. The marihuanilla has been used traditionally both in China and in Mexico. The first mention of the plant is in the Chinese Book of Songs, around 1000-500 BC. Chinese medicine uses mainly the leaves of Leonorus sibiricus. The herb is used to prevent loss of potency in men and to help with painful menstruation in women. Marihuanilla was also used to help circulation and prevent clotting. 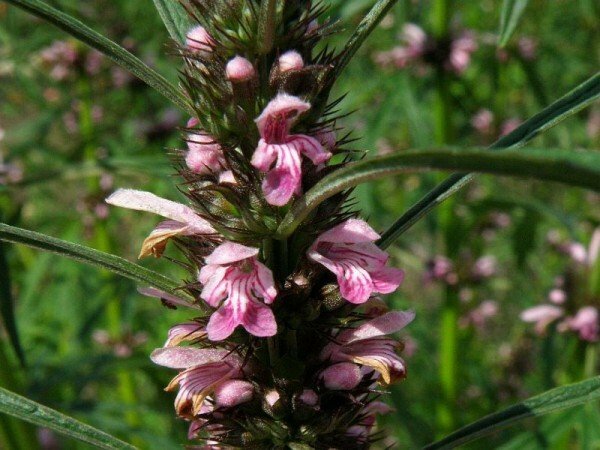 Siberian motherwort was also used for treating menstrual pain and other female issues, though in that region the tea was made from the root of the plant. The flowers were not consumed, by used in ritual offerings by Hindus. Marihuanilla is called “little marijuana” for a reason. It has effects rather similar to those of cannabis, though decidedly milder. Taking Siberian motherwort is considered to be a generally positive experience. Leonurus sibiricus contains several alkaloids such as cyclo leonurine, leoheterin, leonurine, stachydrine and prehispanolone. Of these, leonurine – also found in wild dagga – is considered the main active compound. Both plants have similar effects, but they are under-researched and relatively unknown. As a result, it is not clear how exactly the compounds present in marihuanilla cause the effects experienced by users. Marihuanilla is a mild narcotic, causing the user to enter a pleasant, relaxed state. Consumption of the plant also induces feelings of intoxication. Leonurus sibiricus may be consumed either as a tea or by smoking. The intoxicating effects seem to be stronger when the leaves are smoked, whereas drinking the tea has more of a relaxing, numbing effect. Marihuanilla causes similar, though milder feelings of euphoria as cannabis does. Users have reported excessive giggling, but the hunger and anxiety common with marijuana was not present. There are very few physical effects associated with Leonurus sibiricus. The most common experience is that marihuanilla inhibits the control of motor skills. The primary effects, the “buzz” of marihuanilla lasts for about two hours, though this is dependent on the amount consumed. Some users have reported feeling lethargic after the effects have passed, though others actually felt refreshed. There are few dangers to the consumption of marihuanilla. The substance does not cause physical addiction, though psychological addiction is always possible. Marihuanilla is somewhat similar to cannabis in its effects, but without many of the side effects of the latter. There are no bloodshot eyes nor paranoia, though lethargy may occur after the euphoric feelings have passed. The effects of marihuanilla are rather mild. As a result, the herb is often consumed in combination with other substances. The most popular ways to complement marihuanilla’s effects are wild dagga and marijuana. It should be noted that while Leonurus sibiricus is legal in most countries, the same is not true for other substances. Make sure to consult the appropriate laws before buying or trying any new substances. Marihuanilla has been used for its healing properties for hundreds of years both in China and in America. 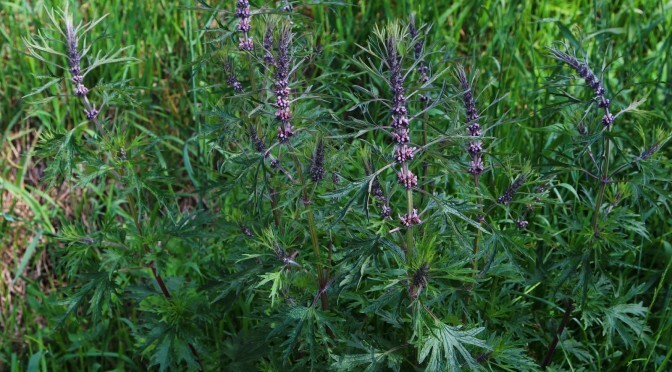 However, little research has been done on the plant in modern times, which means we can’t be sure how effective Siberian motherwort actually is. Brews made from various parts of the plant are used to treat menstrual pain and are used as a diuretic. Leonurus sibiricus is also believed to help circulation and prevent excessive clotting. Marihuanilla may also be applied topically. Leaves of the plant are steeped in alcohol, after which the concoction is used to treat rheumatism and arthritis. The threshold amount for marijuanilla is about 10 grams of the dried leaves. Fresh leaves should be left to wilt for a while. As the exact way Leonurus sibiricus exerts its effects is not known, effects of even the same amount of leaves may vary. According to several reports, a dosage higher than 10 grams may be necessary to experience any effects. There have been no reports of any form of overdose occurring from marijuanilla. However, one should always be cautious with higher amounts, especially as a first time user. The traditional way to consume Leonurus sibiricus is by making a tea from the leaves. The herbs should be soaked in hot water for about 10-15 minutes, then filtered out. Consuming marihuanilla in the form of a tea is reported to have a relaxing, possibly even numbing effect. However, it does not seem to be as intoxicating as smoking it is. The tea is considered by many to be pleasant-tasting. The most popular way to consume Siberian motherwort is by smoking it. The herbs may be rolled into a cigarette or smoked from a pipe. Marijuanilla may also be consumed in vaporized form, though that is not a common use. Other herbs are often used in combination with Leonurus sibiricus, the most common being wild dagga. Smoking marijuanilla has a mildly narcotic effect and causes slight intoxication. I can’t personally recommend any vendors in Europe right now. The following are experiences of various people, who used marihuanilla from different websites. This will give you an idea of what to expect. “I put a big pinch of marijuanilla into my woooden pipe and took a big hit. I held it in as long as I could. Then I exhaled, rested and took another. I smoked the bowl in 4 big hits. My mind began to feel light and slightly dizzy. I could feel my nerves and muscles relaxing. It felt like a light buzz off of cannabis. I loaded up a second bowl and smoked what as well. I now felt like a medium to heavy buzz, quite similar to what a plant of this name would be expected to deliver. I sat cross legged and looked out across the water. The sun gradually began to set, and the sky became a dazzling oil painting of orange, red, yellow and purple. I had a wonderfully enhanced perception of the beauty that God created. It was wonderful and dreamy. “Since I did not want to throw away the entire bag, I decided to try making a tea of the substance. I used about 1/4 ounce (roughly 7 grams) of material in a perculator with about 6 cups of water. I let the tea brew for about 15 minutes, then let it cool for a while. Marihuanilla is only one of the legal highs included in Simon’s legal high guide, check out the others as well. A guide detailing the properties, effects and legal status of marihuanilla, including trip reports. I would like to try marahuanilla, do you know any vendors that sell 15 or 20x leaf extract.